We would be delighted to welcome you to our services and activities. We hope that the following information and directions will make your journey a little easier! We have two main buildings, situated just across the road from each other. 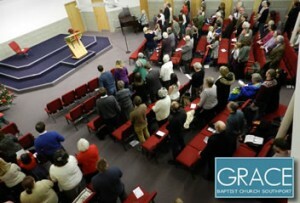 Our main services are held in the Grace Church building, on Princes Street at the junction with Market Street. Just enter the postcode PR8 1EG into your sat nav, and you will find us easily. Many of our activities are held across the road at the Grace Centre. You will find which location is being used by reading the information pages for each activity on this site. Parking: Please note that parking immediately around the church is Pay and Display, and operates between 11.00 am and 6.00pm on Sundays, and from 8.00am until 6.00pm during the week. There is free street parking just 100 yards away from the church. If you click on the red arrow on the Google map above, then click ‘directions’, our site will then open a new section and provide you with detailed directions, whether you are travelling by car or on foot. Follow signs for Lord Street . At the junction in the middle of Lord Street , turn into the road directly opposite the Scarisbrick Hotel (called Eastbank Street ). Soon after another set of traffic lights, turn right into Princes Street . We are 100 yards down. Our old building will be on your right. Our new building will be on your left. 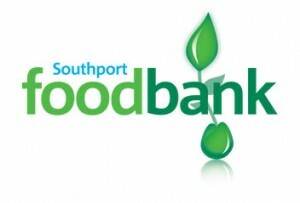 Follow M58 & then A570 through Ormskirk to Southport . Travel down Scarisbrick New Road , following signs for Lord Street and/or Town Centre . At the end of Scarisbrick New Road is a roundabout; go straight over into Eastbank Street . You will go over a small railway bridge. Princes Street will be approximately 300 yards on your left. Railway station and enter Chapel Street . Turn left until you come to Eastbank Street (100 yards approx.) Cross Eastbank Street and turn left. Princes Street will be the second on your right. We are 100 yards down Princes Street. Just click on the red arrow in the middle of the map above, click ‘Directions’, and we will get you from where you are to here at Grace. You can even print them off. We can’t guarantee there will be no traffic, but we will welcome you when you arrive.